In Fallout 4 you start with a limited tally of 28 SPECIAL points to distribute as you see fit. In this post I'm going to discuss a few classic character builds and the perks which help to shape those builds. These builds should help you understand which perk trees are complimentary and hopefully give you some guidance for your initial perk selection. 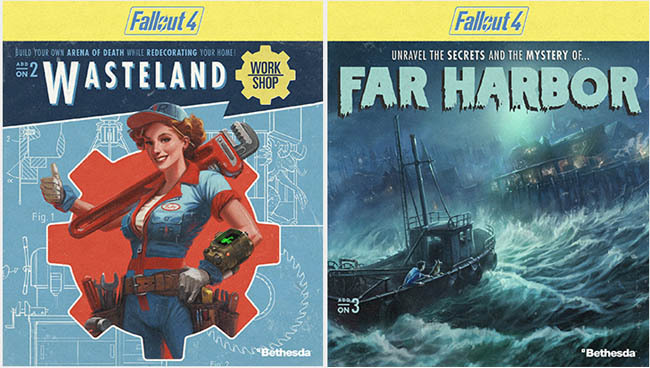 As with other Fallout games, players have to spend points to shape the nature of their character. Whether that be a melee build, sniper, charmer etc. it's up to you to decide your prefered playstyle. Certain skill trees go hand in hand and others are negative compliments. For example, you wouldn't want to choose perks that increase your rifle damage if you're concentrating on a melee or unarmed build. As you level up in Fallout 4 you gain a new point to invest in a particular SPECIAL tree. The more points you invest in a SPECIAL "branch" e.g. Strength, the higher the level climbs eventually taking you all the way to Level 10. Each of the SPECIAL branches relate to a particular skill e.g. Strength or Intelligence. All of the perks under each section relate to that type of SPECIAL. So if you look at the Strength SPECIAL it's clear that armour crafting, melee bonuses etc. all relate to combat. For every perk there can be several ranks. For example, the Gun Nut perk which grants access to high level gun mods has 4 ranks. You can choose to invest your SPECIAL points in an existing perk in order to unlock a higher ranked version of that perk. This is horizontal progression. As you unlock a higher ranked version of an existing perk, you gain additional advantages from that perk. Again using the Gun Nut perk as an example. As you increase the rank of Gun Nut you unlock the ability to create Rank 2, Rank 3 and Rank 4 Gun Mods, each one being better than the last. As you can see, it's not just about unlocking entirely new perks but also increasing the rank of your prefered perks to increase the bonus they offer. Ok, let's look at a few builds and which perks relate to those. A classic melee build should be tough, be able to sprint an awful lot and do a huge amount of damage with their melee weapon. For this reason you should concentrate on the Strength, Endurance and Agility skill trees in the manner described below. In Fallout 4 you can also use Action Points to prolong your sprint, thus helping you approach enemies quickly and reduce the damage you suffer. Therefore, make sure you invest in the Agility tree. The damage you inflict with a bare fist is calculated from two things; your Strength level and how many ranks you have taken from the Iron Fist perk. We don't know the exact calculation but the flavour text provides a lot of clues here. There aren't many reasons to invest in perks from the Perception tree for a melee class. You don't need the additional accuracy because you're not firing weapons. Having access to Toughness and Lifegiver will give you a little more survivability in the wilderness. This is important because as a melee character you're going to take a certain amount of damage while you wade through the initial attack, positioning yourself for melee attacks of your own. Keep this to one - there's nothing in here that will help a melee build. Again, you don't need much in here because you're not worried about crafting weapons for now. Why choose Level 2? Simply because of the Level 2 Medic perk which increases the effectiveness of Stimpacks and RadAway. As a melee class you're upfront and will almost certainly taking alot of damage. To my mind this is the second most important skill tree for a melee character. Firstly you've got Sneak at Level 3 so you can sneak around, giving you a better chance of close critical hits. The Evasion skill at Level 6 will certainly help as you try and get up close to enemies. Lastly, the Ninja perk at Level 7 will give you an added bonus for melee weapons. Arguably one of the most powerful builds in previous Fallout games. The idea being that you use rifles, stay well back and kill off enemies before they know where the hell you are. Important perks for this build are Rifleman, Better Criticals, Sniper, Ninja and Gun Nut. It might sound rather low; you won't have access to armour crafting (but you can get that later) and you'll also miss out on carry capacity. These are tradeoffs that the sniper class has to live with to unlock other more important perks. This is your key skill as a sniper now in Fallout 4. Rifleman is your main weapon skill and you want to access this right away. The Awareness perk at Level 3 is highly important, because as a sniper you want your first bullet to be the critical kill rather than drawing the attention of a high level enemy who then comes along and kills you. Awareness will help you understand the strengths and weaknesses or enemies before engaging in a fight. The other big one here is the Sniper perk at Level 8. We don't know what that's for yet but it's reasonable to suggest that having access to the sniper skill will be beneficial to this character build. There is absolutely nothing you need here in the early stages. Again, you can boost this later to get Black Widow but besides this you can easily live without any Charisma perks for the early part of the game. You're going to want Gun Nut as soon as possible to craft sniper weapons because there's no guarantee the game is going to give you a decent sniper weapon. Meanwhile Intelligence 4 gives you access to Hacking which allows you to work your way round the battlefield rather than travelling through high risk areas. Sneak at Level 3 is important to Sniper builds to help you can remain hidden. Ninja at Level 7 rewards bonus sneak attack damage. Spend the remaining points on Luck to get better criticals as soon as possible. A sniper build relies on better criticals to finish off opponents without retaliation. Bloody Mess will also help to increase your damage output. The Pacifist character prefers persuasion over combat and trading over crafting. The most important SPECIAL tree is of course Charisma to enable taming of animals and monsters. We can skip the crafting aspect and any weapon related skills from the Strength section. This build is more of a varied/fun build than a practical one but I've included it here to give you the choice. Set this to the minimum because you're going to avoid weapons entirely including any crafting. Also since you're not carrying weapons you won't need to worry about carry capacity anyway. Lock Pick is ideal for skirting round encounters and Awareness at Level 3 will help you understand what level an enemy is. Push this to Level 3 because you're likely to get shot at and this is just enough to grant the Life Giver perk. Max out the Charisma tree to grant Intimidation, Wasteland Whisperer and Animal Friend. These perks will allow you to tame and turn people, animals and abominations into allies. I'd go for Animal Friend first and then Wasteland Whisperer a little later because the game won't throw abominations at you straight away. Depending on the level of the opponent, you can point your gun at them and they'll back down and become your friend. The Awareness perk from the Perception branch will help you understand the enemies level and thus when to tame and when to flee the situation. Lastly, the Local Leader perk lets you build settlements and since we don't have crafting perks (from Strength) we can trade and buy good armour rather than needing to craft it yourself. The same is true for weapons (should you wish to try these at a later time). You're going to need medicine so set this to a minimum of 2. Evasion is important because you're bound to come under fire at some stage. You're not going to be attacking anyone so there's little point in having better critical hits so keep Luck to the minimum. Most new players are going to prefer a general all round build to enjoy different aspects of the game and to keep their options open for later. There are some lower level perks which are more beneficial to this kind of build and it's not just a case of choosing 4 or 5's across the different areas. Using this all round build you'll be able to experiment in weapon and armour crafting, play around with the companions, lock picking and explosions. This gives you armour crafting, melee and unarmed weapon skills. These skills are fairly crucial in the early stages of the game, providing the option to engage in fights and also bolster your protection through simple armour. Level 4 will give you Lockpicking which is an essential skill, Awareness so you know the level of enemies around you and also Rifleman should you choose to go with rifles on occasion. Level 5 gives you a little bit of extra health and toughness. You'll also be able to swim and explore, which is certainly a fun and interesting thing to do. We know that you're going to get the dog pretty early in the game so trying out all the abilities will be fun. This also puts you just a couple of levels away from Local Leader (Level 6) which opens the door to building settlements. New players will probably want to dabble in this fairly early on. The crafting skills live fairly high up the crafting tree. Of course you'll want Gun Nut and you'll almost certainly want to try the energy weapons. This also gives you Medicine and Hacking which are two core skills. Just so you have access to sneak. You gain Bloody Mess so you'll be able to enjoy all the new explosions. 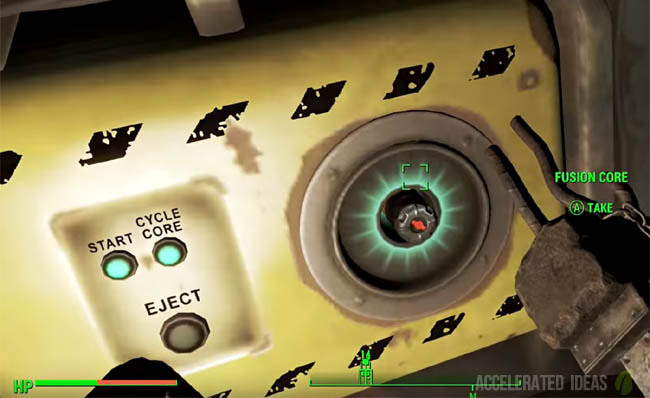 Intelligence helps you gain XP at a faster rate in Fallout 4. This in itself will be enough to convince experienced players to invest in the Intelligence perk tree from the start. 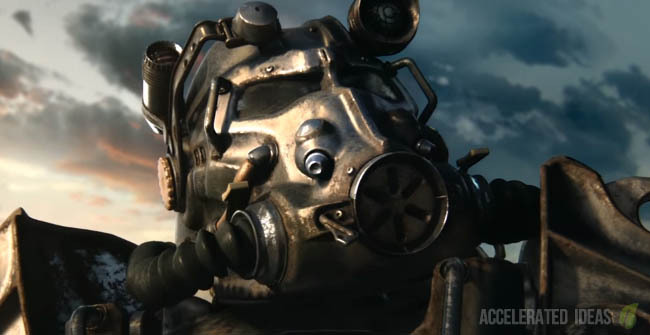 Unlike in Fallout 3 there is no level cap in Fallout 4; players can safely invest in Intelligence without sacrificing other perks later in the game. I imagine that the builds we see from experienced players who understand the game will have a high Intelligence level. That's simply because maxing out all the perk trees (roughly level 300) is going to be very hard and without that XP boost it's going to take a very, very long time. We're not worried about a melee bonus nor armour crafting at this stage. A sniper rifle will be the prefered choice for the early Intelligence build. Level 4 gets you high enough to access the Lockpick and Awareness perks which are both crucial skills. The only other perk of interest in this tree is the Sniper perk but that's all the way up at Level 8 so we'll leave it for later. Having access to the Life Giver perk is crucial for most builds. That extra HP for every level you gain will make a big difference to your survivability. Keep this low for now, we're not interested in companions or taming enemies, instead we're going for sniper shots or running away. Although the exact XP calculations are still unknown, increasing your Intelligence to Level 9 will provide a healthy XP boost. You'll also gain access to Gun Nut, Hacker and Science for a wider variety of special weapons and mods. Why not Level 10? Simply because of Bobbleheads that could automatically jump you up a Level without spending any points. Any experienced Fallout player will know that silently killing guards in their sleep was one of the most effective ways to farm XP back in Fallout 3 (until it was patched of course). Having the Sandman perk in Fallout 4 could provide an equal opportunity to abuse the XP system by constantly respawning and killing enemies in their sleep for easy XP. Fortune Finder and Scrounger are both solid perks for gaining more money and ammo but more importantly in this tree is Bloody Mess and Better Criticals, both of which will compliment sniper attacks from afar.